Online Florist - FREE DELIVERY in Auckland! Best Blooms is one of Auckland's favourite online florists. Yes we can do Free same day flower delivery Today! Our Auckland Florist has been delivering flowers - and Sending Smiles - since 2006 and we have just celebrated sending out Online flower order number 40,000! We have many happy customers across Auckland. ... and of course your order is 100% money-back Guaranteed! Yes! You can have flowers delivered same day in Auckland. For Auckland gift deliveries: Order flowers online by 10.15am for a Business Delivery and order by 2.15pm for a home address. For same day Saturday flower delivery please order by 10am to have flowers delivered same day. Of course, we also accept orders for gifts & flowers online for deliveries on a future date. Our online florist uses the latest SSL Security features, (check for the padlock in the corner as you process your order), all payments are processed via trusted and safe 3rd party payment Paystation. 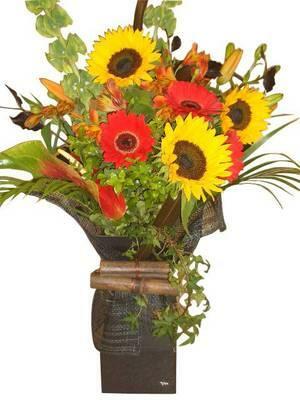 You can shop flowers online Auckland wide delivery on our secure website with peace of mind. If you prefer to speak to a real person, then please do call us direct on (+64) 9 838 9058 and talk to our team of fully trained N.Z. Florists.